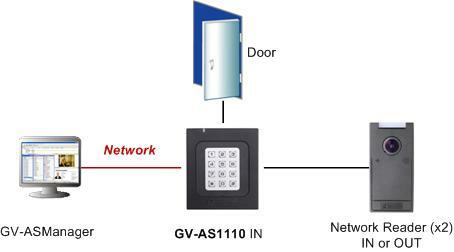 GV-AS1110 is a single door controller with a built-in reader. The TCP/IP network port on GV-AS1110 allows it to add two more network card readers for entry and exit applications. GV-AS1110 has the capability to store up to one thousand cards under standalone mode and up to 40,000 cards when connected to GV-ASManager. 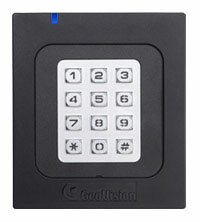 Programming of GV-AS1110 can be done either on the keypad or from the software GV-ASManager. 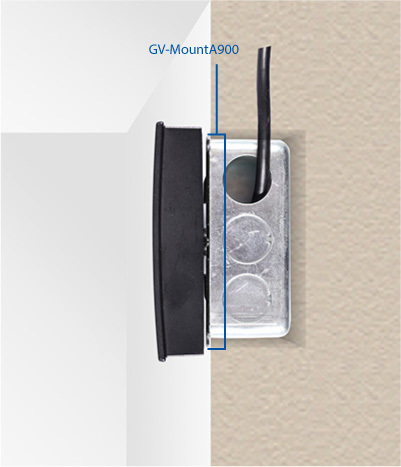 GV-AS1110 is suitable for controlling doors, parking gates and access to elevator call buttons.